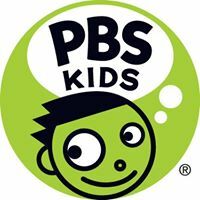 Living a Fit and Full Life: Help Kids Learn All About Allergies with PBS Kids: All About Allergies DVD! Help Kids Learn All About Allergies with PBS Kids: All About Allergies DVD! Help kids learn all about allergies with PBS Kids: All About Allergies DVD! My daughter who is 7 just developed some allergies now that allergy season is in full swing. This is really the first year that they've bothered her but seeing as how I've battled allergies for years I figured at least one of my kids would have some allergy issues. I've explained to her what allergies are but found this PBS Kids: All About Allergies DVD to be extremely helpful. She loved seeing that she wasn't the only one affected by allergies. She also loved seeing all her favorite PBS Kids characters. 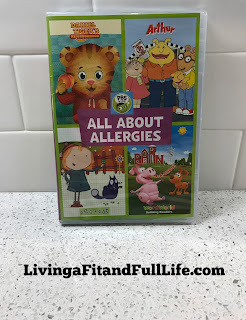 PBS Kids: All About Allergies DVD is the perfect way to help kids learn about allergies! 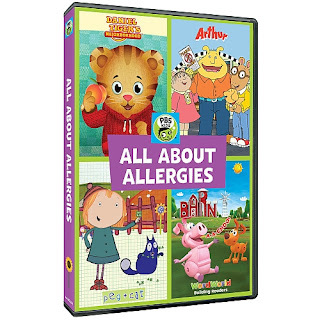 You can order PBS Kids: All About Allergies DVD at Shop PBS, Amazon and other retailers.